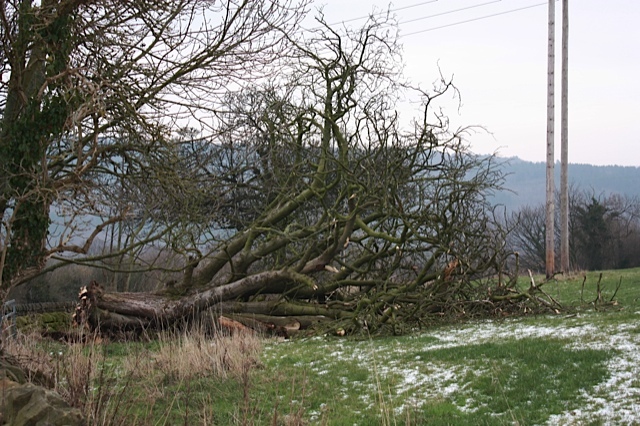 The idea for the project began with the loss of 3 trees during the winter of 2011/12 including the iconic Horse Chestnut from the field in front of Manor Farm. Dhira put up posters around the hamlet inviting people to come to a meeting at her home to discuss planting new trees. 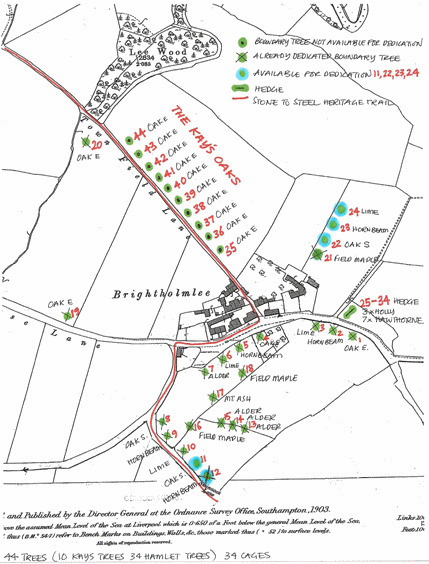 Ten people attended and as a result on the 3rd February 2012, we formed a constituted group called “The Friends of Brightholmlee Hamlet”. 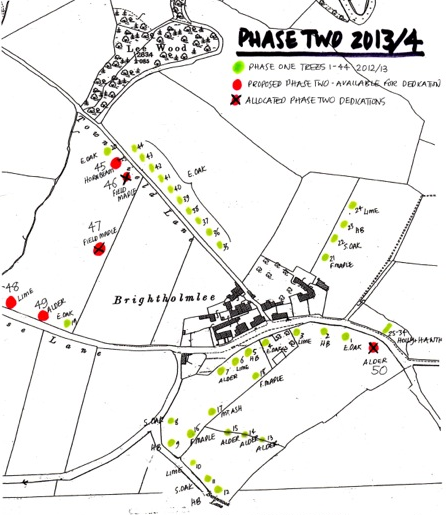 Re-establish native hardwood broadleaved trees in a sensitive and considered manner, in fields, along field boundaries, unused corners of fields and any suitable grass verges, within the hamlet of Brightholmlee. Thereby enhancing the local environment, ensuring the survival of our tree population, improving local wild life habitats and the creation of tree corridors. 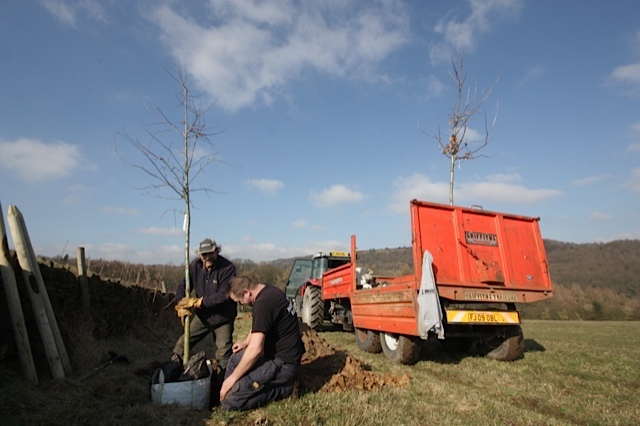 Ask landowners if they have any spare ground where small groups of trees can be planted. 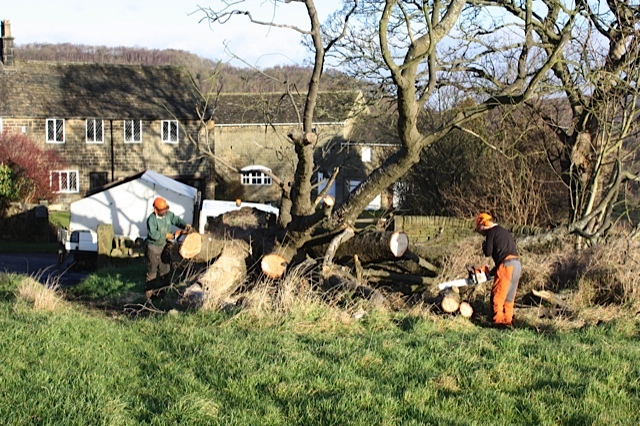 Restore the Old Hall’s Orchard as a feature of the hamlet’s heritage. Tidy up the big grass verge. To produce a Book documenting the new tree planting for future historical reference, listing all sponsors and donations and recording tree dedications. Also to include Field Names, oral histories of the landscape from older residents, a history of the hamlet, drawings, photographs and maps. Raising general awareness amongst the local community of the importance and benefits of improving our local landscape and inviting their participation with the project by way of tree dedications, sponsorship, financial donations and volunteering. We contacted local Farmers and Landowners for their permission to plant on their land and ascertained how many trees they were each willing to have. 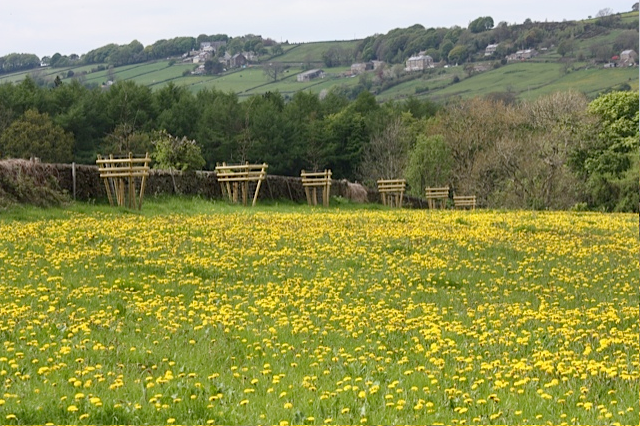 We also contacted Bradfield Parish Council, Sheffield Wildlife Trust, the Conservation Area, Archaeology, Planning and Street Force departments within Sheffield City Council. We were met with a great deal of support, resulting in Chris Prescott, a Community Development Officer and Tim Shortland a Community Forestry Officer working with us and providing invaluable expert advice. 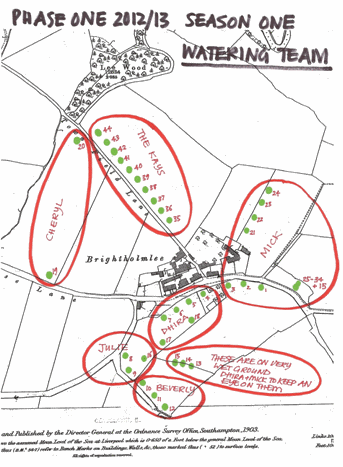 We carried out internet searches for similar projects, researched historical maps from Sheffield City Archives, tried to ascertain the hamlet’s boundary and made an informal tree survey. 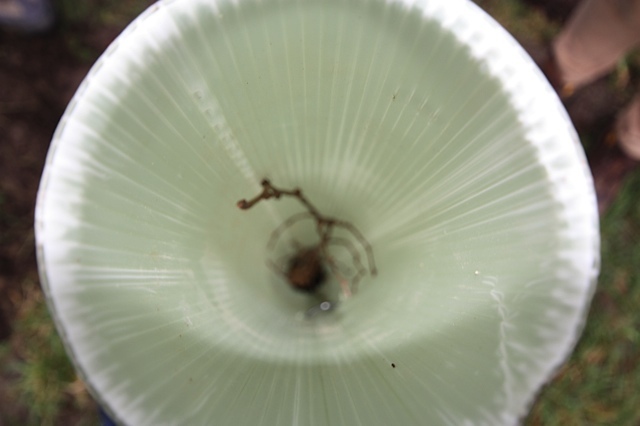 It quickly became apparent that this was not just a simple matter of planting whips and popping a little green tube around them. 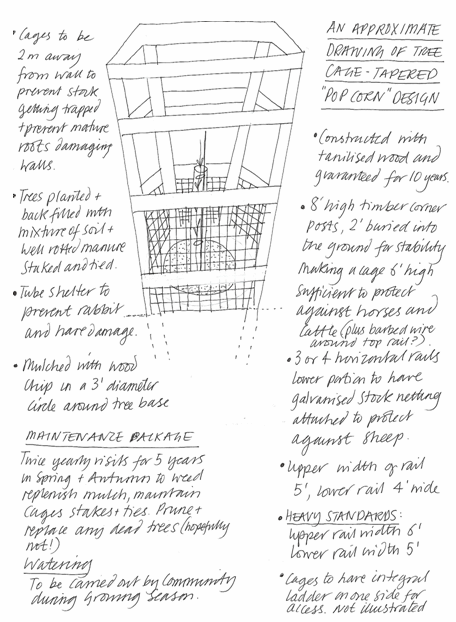 Since we were planting on agricultural land each of our trees needed to be protected from cattle and horses and so one of the most time consuming activities was to find the best design for a stock proof cage. In the end the best advice coming from 2 experienced Fencing Contractors who were familiar with building them and working on Community projects. Why we need stock proof cages! 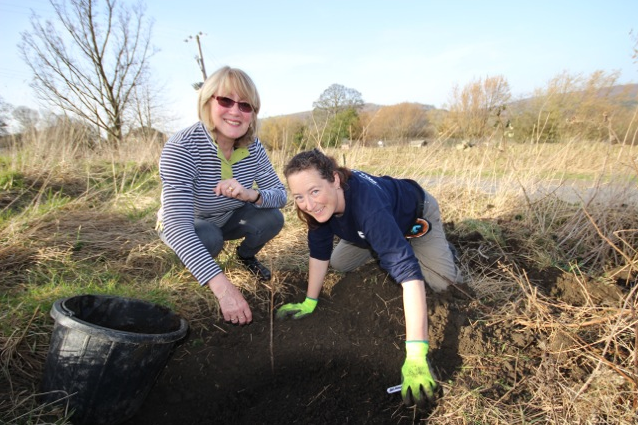 We paced the boundaries where we wanted to plant, drew up maps and involved the local community by holding regular monthly meetings and voted on key decisions. We also took out Insurance with the TCV who helped us to set up this web site. Eventually, with the help of our Community Forestry Officer, Tim Shortland, we decided how many trees we could feasibly plant, drew up a plan and put out a Tender to 3 voluntary sector organisations and 3 fencing contractors to quote for the purchasing of the trees, planting, construction of 34 x 6’ high stock proof cages and a 5 year maintenance package. 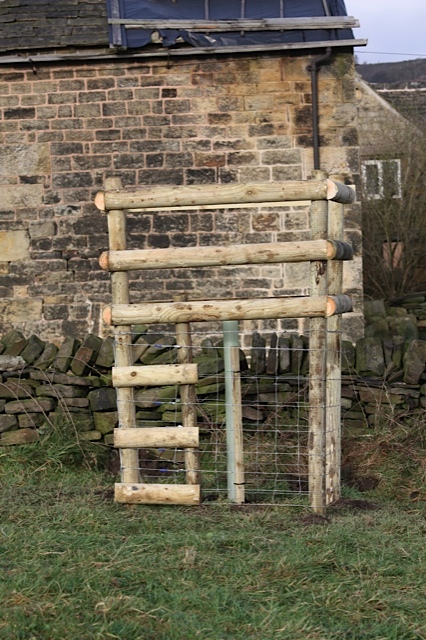 The organizations who quoted for us were The Tinsley Tree Project, Sheffield Wild Life Trust and The Steel Valley Project, and Dan Critchlow, a Fencing Contractor. The latter 2 winning the contracts. 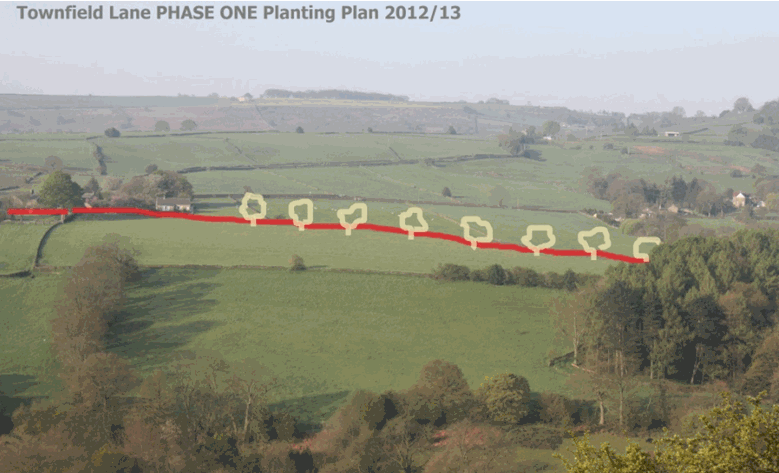 We decided to break down the work into manageable phases, Phase One commencing Winter 2012/13. We raised funds by offering 24 trees for dedication at £75 each from amongst our families and friends, asking for a £300 donation from participating households and applying for funding from Bradfield Parish Council and The Big Tree Plant. In the end we managed to raise over £7000. Phase One started with the planting of 44 trees. 24 of which were for dedication, 10 for the Allotment hedge and 10 donated by a local farmer. 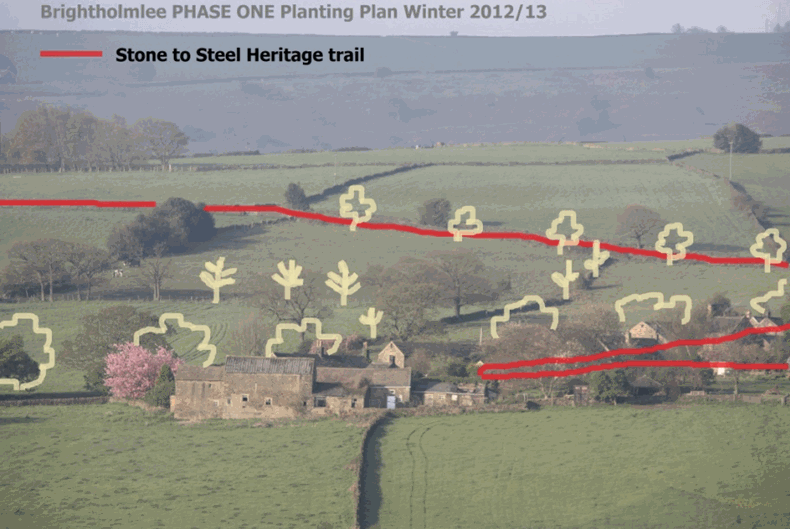 The trees have been mostly planted alongside the Stone to Steel Heritage Trail and very easily seen from footpaths, Brightholmlee Road, Thorn House Lane and Swinnock Lane. In order to plant the Boundary Trees around Brightholmlee our major funder, The Big Tree Plant, required us to have a unit cost of £4 per tree. 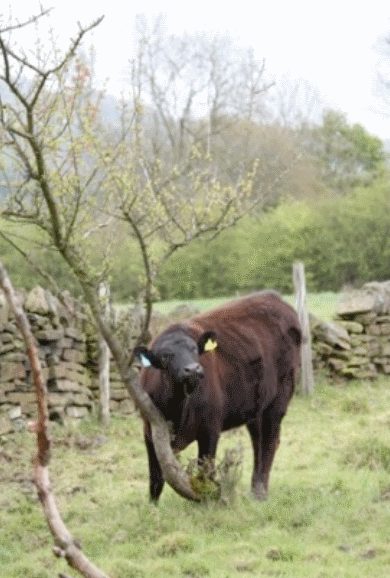 In view of the fact that each Boundary Tree cost over £130 to establish we had to find other sites that were willing to plant large quantities of native species whips, the numbers for which, we could include into our scheme. We were fortunate that Stocksbridge Rugby Club and Lindley Bank were both willing to plant 500 whips each over the next two years. When planting began in the hamlet, Mick who rents the allotment, decided to slightly move his hedge and so required a further 15 trees. 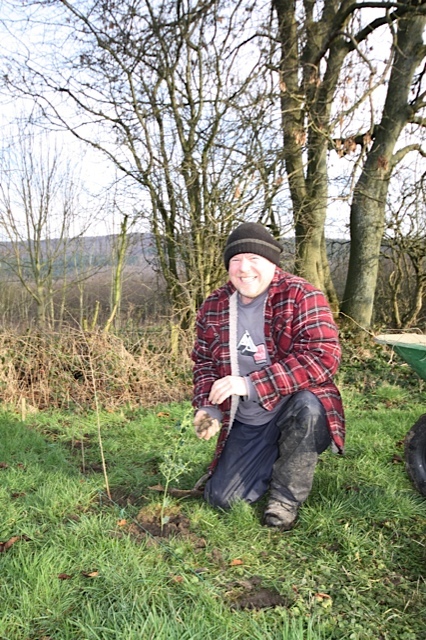 These together with 14 that were inspired to be planted around the property of Middle Lee, plus a further 10 seedling Holly trees found in people’s gardens and transplanted to some of the field boundaries, we achieved a grand total of over 1080 trees planted as a result of the project. How we imagine our new trees will look in 200 years time! Most of the planting took place on the 8th January 2013 by volunteers from The Steel Valley Project, children from Wharncliffe Side Junior School and several community members. Originally we had intended to plant a mixture of English and Sessile Oak, Ash, Holly and Hawthorne but with recent fears of Ash Dieback Disease, at the last minute we decided to have a greater diversification of species that did not include Ash but as well as both Oak varieties, Holly and Hawthorne also included Lime, Common Alder, Hornbeam and Field Maple. As part of our Funder’s requirements we have made provision for maintenance for 5 years, setting aside part of the money raised to hire contractors to make twice yearly visits to replenish the mulch, weed and prune as necessary. Also the Community has set in place a watering plan between ourselves for the first 2 years of the trees lives. 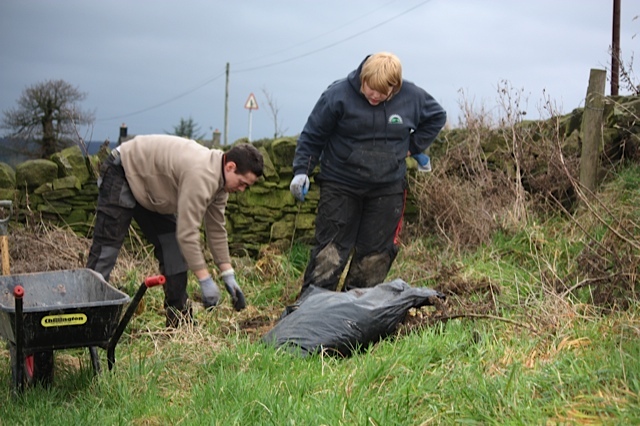 The Community Tree Planting Group voted on the 5th September 2013 to go to a second smaller phase of planting beginning with 6 new trees to be installed in both “Front of the Yard” and “Six Acre” fields. 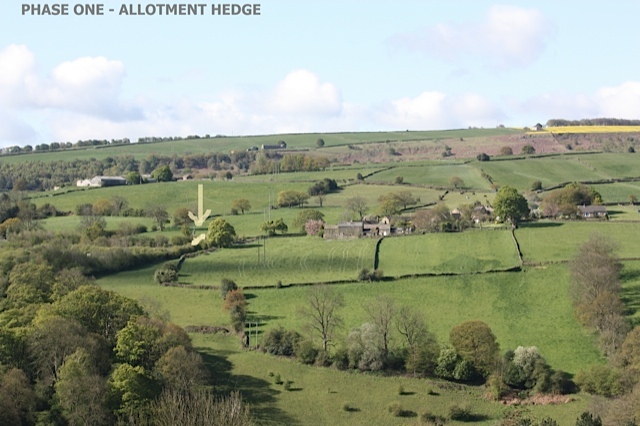 Having gained the landowners permission, we are now actively raising funds by seeking new dedicators and applying to Bradfield Parish Council for support.